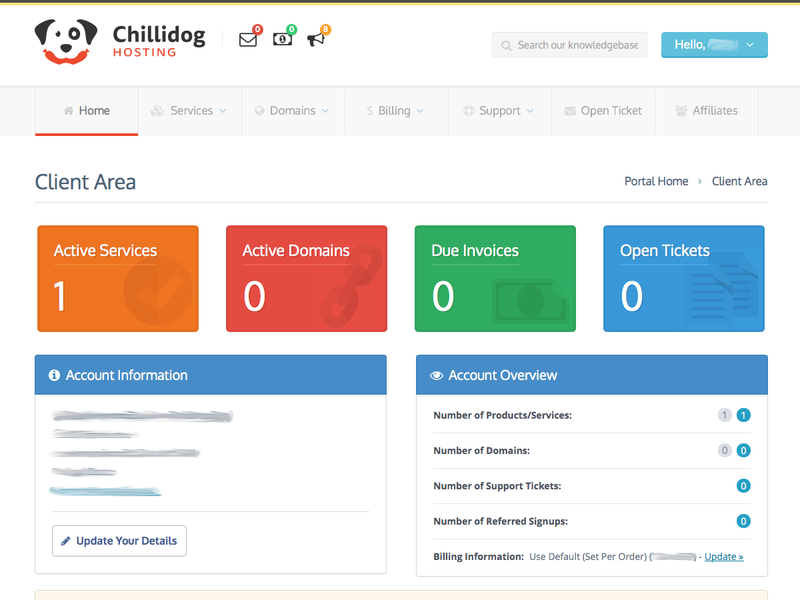 At Chillidog Hosting, I work hard to make the hosting experience a simple and, hopefully, enjoyable experience. Part of this experience is building tools that are simple and easy to use. That's why we are proud to debut our new billing system. The UI is now cleaner, 100% responsive, and retina-ready! It is made to look great on all of your devices. PS. For the curious, the new billing system is built upon Bootstrap, Font Awesome and RetinaJS.